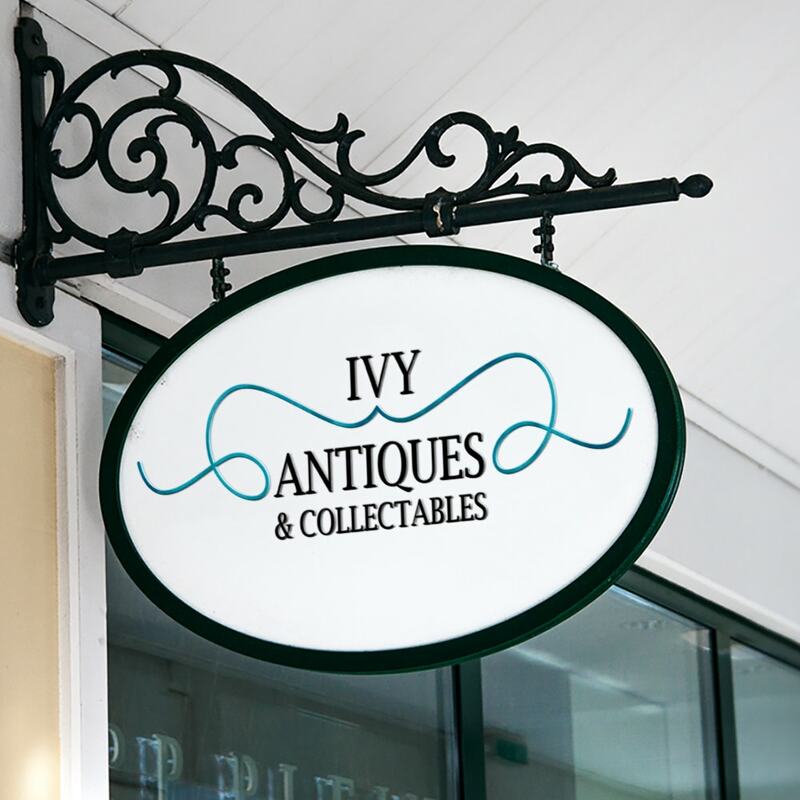 Ivy Antiques & Collectables are a local online store specialising in the sale of Antiques, Collectables and Militaria. They wanted an online presence with full eCommerce with the ability to calculate shipping costs for their customers’, from all over the world. eCommerce is taken care of via WooCommerce with fully integrated shipping policies, based on size, weight and destination. Full training was provided to the customer on how to manage orders through WooCommerce, as well as how to add their own products to keep ongoing running costs of the website to an absolute minimum. 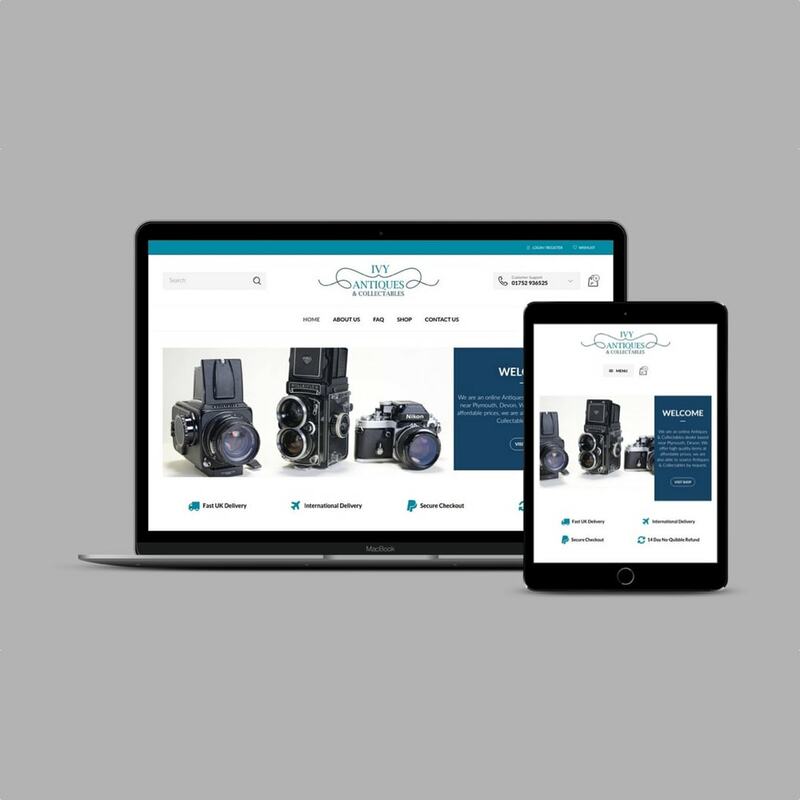 Best eCommerce practices were used on the creation of this website, ensuring it is easy to navigate on all devices including a fluid and fast mobile checkout experience. As well as the website, a new logo was also designed for the customer. 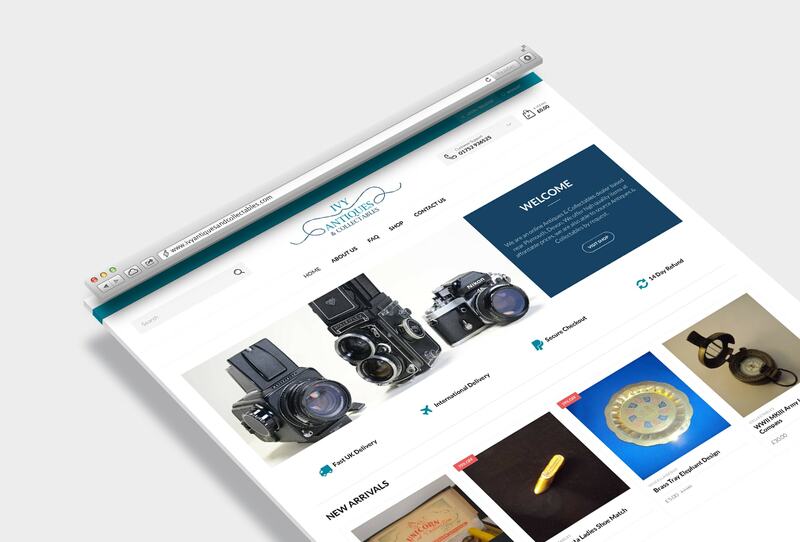 Antiques & Collectables websites usually look like something from the stoneage, working with Daniel from Ivybridge Creative has been a breath of fresh air and he’s created a modern website, with a traditional feel.